Yet another Barnard will! This series of wills enable us to follow the fortunes of this family in some detail, and is of great value in listing the names of Robert's sons. Robert provides for the legacies to be paid year by year, which suggests that he does not expect to die leaving much in the way of cash. This in turn may mean that he has some land which will generate this money for the legacies, but the extent of his landholding is not known. If, as seems possible, this Robert was the one who built the house now called 'Barnards,' he must have had considerable resources at some time in his life. His father's will certainly sounds prosperous. He describes himself as 'labourer,' which does not suggest that he was all that well off. Robert died on the 24th February 1615. Do not be puzzled by reason of the fact that he died in February 1615, but he made his will in December 1615. In those days, the year ended in March, not December. We still have a few hangovers from that system - the Income Tax Year runs from the 5th April in each year, for example. 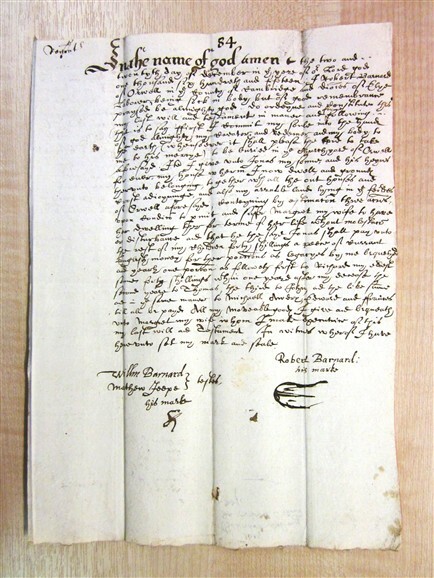 Transcription of the will of Robert Barnard 1615. From the Parish Registers: Jonas Barnard was baptised in 1587. 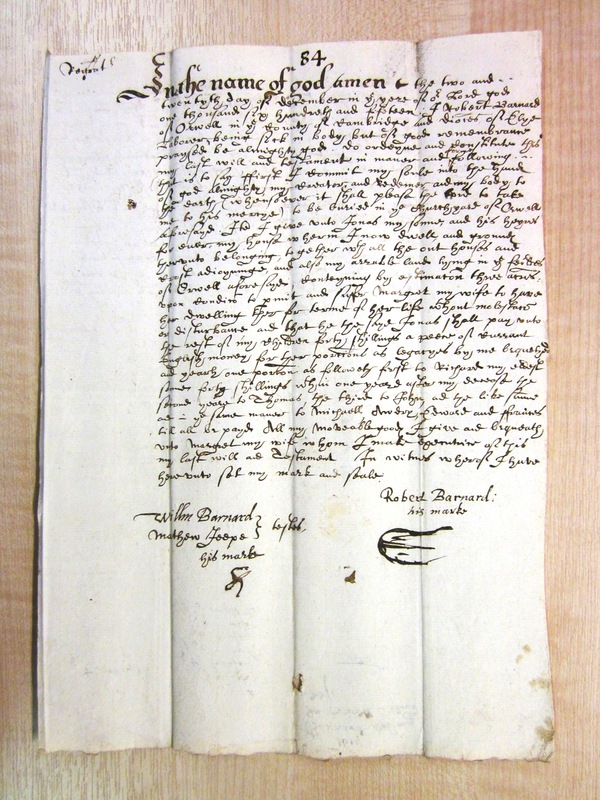 Richard Barnard was baptised in 1581, and another Richard in 1586. John Barnard was baptised in 1592; Michael in 1594; Edward in 1603; and Francis in 1605. The others do not appear. A Margaret Barnard was married in 1617.